Deborah L. "Deb" Monds, 63, of Williamsport, passed away Friday, Aug. 31, 2018, at AristaCare at Loyalsock. Born Dec. 20, 1954, in Williamsport, she was a daughter of the late Ernest C. "Ernie" and Norma L. (Goodrich) Kinley. Deb was a 1972 graduate of Williamsport High School. She was formerly employed through the Williamsport Area School District as a school bus driver for 30 years and later drove vans for STEP. One of Deb’s greatest joys in life where her three cats Lucy, Patches and Rose, and she also enjoyed adult coloring books. Surviving is her companion, Charles F. Walizer; a brother, Douglas C. Kinley (Charlene), of Cogan Station; two step sons, Wayne Monds and Clifford Monds (Cheryl), both of Ontario, Canada; step-grandchildren, and nieces and nephews. 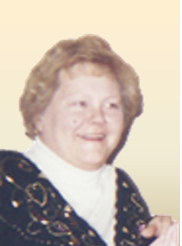 In addition to her parents, she was preceded in death her husband, Wayne F. Monds; a brother, Thomas E. Kinley; and a sister-in-law, Christine (O’Brien) Kinley. A funeral service to honor the life of Deb will be held 11 a.m. Thursday, Sept. 6, at Sanders Mortuary, 821 Diamond St., Williamsport, with the Rev. Dr. S. David Simon officiating. Burial will follow in Twin Hills Memorial Park, Muncy. The family will receive friends from 10 a.m. until time of service at Sanders Mortuary. In lieu of flowers, memorial contributions may be made in Deb’s name to the Williamsport Dialysis Clinic, 1660 Sycamore Road, Montoursville, PA 17754.